Construction sites, refineries, lumberyards, repair depots and other outdoor workspaces must follow safety signage guidelines or risk fines for noncompliance with OSHA and ANSI rules. ADA regulations apply to stores, restaurants, malls, theaters, libraries, apartments, schools and most other facilities. Sorting out the many outdoor safety sign regulations is made easier when you rely on an experienced signage resource like Signs By Tomorrow Corporate. We’ll help you adhere to all outdoor compliance sign rules with affordable solutions. OSHA danger signs: These outdoor compliance signs warn of immediate risk and advise that special safety precautions are necessary. Red, black and white colors are reserved for OSHA danger signs. OSHA caution signs: On these outdoor safety signs, OSHA specifies a yellow background with a black panel and yellow letters. OSHA caution signs warn workers of potential hazards or caution them against unsafe practices. OSHA safety instruction signs: Post these outdoor compliance signs wherever there’s a need for general safety instructions or suggestions. Per their rules, OSHA safety instruction signs should have a white background with a green panel featuring white letters. In addition to OSHA, the American National Standards Institute (ANSI) governs outdoor safety signs. If OSHA has requirements, their rules should be followed. In the absence of OSHA rules, ANSI regulations come into effect. Of course, you must also adhere to all applicable federal, state and municipal regulations for outdoor compliance signs. ANSI danger signs: These outdoor compliance signs alert workers to immediate hazards that will result in death or serious injury. ANSI danger signs feature white letters on a red background. 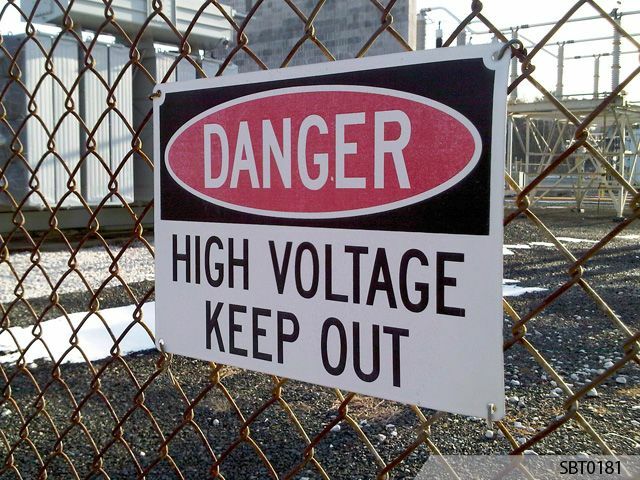 ANSI warning signs: Notify employees of conditions that can result in death or serious injury with ANSI warning signs. These outdoor safety signs feature black letters on an orange background. ANSI caution signs: Black letters on a yellow background mark these outdoor compliance signs. ANSI caution signs tell workers of situations that may result in minor or moderate injuries. ANSI notice signs: Give workers important general information with ANSI notice signs. On them, white letters appear over a blue background. ANSI general safety signs: Suggest general safety measures to employees with these outdoor safety signs. White letters on a green background identify ANSI general safety signs. Outdoor ADA entrance signs: Signs that identify specific entrances must meet ADA compliance standards. ADA parking signs: Parking spaces and especially handicap parking spots should be clearly labeled. The number of spaces and signage designs fall under ADA guidelines. Outdoor ADA restroom signs: Parks, stadiums pavilions and other facilities that have outdoor bathrooms need ADA signs. 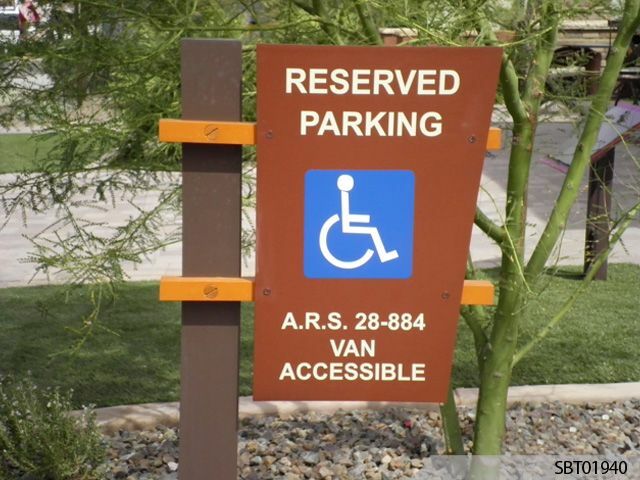 Outdoor ADA wayfinding signs: Signs that provide directions to visitors must meet accessibility ADA standards. Examples include arrows or maps.